A sangha is a community of mindfulness practitioners who gather to meditate, share their joys and difficulties and to encourage each other on the path of mindfulness practice. Meeting regularly with others to sit and share together is a powerful way to cultivate our understanding and compassion and deepen our connection with others. There are sanghas all over the world practicing in the tradition of Thich Nhat Hanh. We encourage you to search for a local practice community. The map below can help you locate a group in your area. There are also groups that meet online to practice together daily, weekly and monthly. You can visit Plumline to find a directory of virtual practice communities. If there is no sangha in your area, you may consider starting one! This can begin as simply as meeting with a few people in someone’s home. There, you might sit in meditation, read an excerpt from one of Thich Nhat Hanh’s books, then share together about your experiences in the practice. For more information, see the New Sangha Handbook and our Start a Sangha page. Educators are especially encouraged to practice together.  If you start a Happy Teachers sangha, post it on the International Sangha Directory via: mindfulnessbell.org/contact-us/. Wake Up, an active global community of young adult mindfulness practitioners. Peer-led groups meet around the world. It is aimed at young adults from 18 to around 35. The Mindfulness Bell is the quarterly journal of international Plum Village community dedicated to the art of mindful living. It is an inspiration and teaching resource for those practicing mindfulness in daily life. Each issue features a recent teaching by our teacher, Vietnamese Zen Master Thich Nhat Hanh. Also included are stories and teachings by teachers and students in this lineage, based on the author’s direct experience of transformation through the practice of mindfulness.